You’ve been hearing that digital analytics is great for marketing your business, but you don’t know where to start. There are so many marketing tools out there, how do you decide which to use? We will explain these different types of tools, and why they are important. Since we have experience with all the marketing and analytics tools listed, we curated them to highlight the main features and attributes of each tool, and how it can help your business. Web analytics tools measure and track your overall website and mobile app performance over time, allowing for historical reporting and analysis. The tool you choose should make analyzing easy. It should be versatile with simple third-party marketing integrations, so you’re able to create a more robust ecosystem of data. Also, it’s great to administer more complex remarketing campaigns based on historical data. What is the typical user behavior on your website? What is the top content that’s bringing in the most traffic? How are users reaching your website? Are conversion funnels optimized for sales and leads? Is your website and app optimized on all platforms for seamless user experience? Web analytics tools allow you to gain a strong foundational knowledge for your digital presence across all marketing channels. Google Analytics is a free web analytics tool that tracks your overall website performance. Google Analytics provides KPIs, secondary metrics, and dimensions to measure your online marketing campaigns, visitor demographics, search behavior, and conversion funnels. What makes Google Analytics stand out? It’s free and easy to use for beginners. With a simple tracking snippet in your website or mobile app code, it’s easy to get a solid foundational knowledge for your digital performance out-of-the-box. You can also use Google Tag Manager to customize your analytics tracking from custom events to dimensions all within one user interface. Google makes it easy to control your analytics. Since Google Analytics integrates with many other analytics and marketing tools, you can import external data to get a holistic view of your digital ecosystem: PPC ad performance, SEO, shopping behavior, and more! It works the other way around where Google Analytics data can be imported to other tools for audience remarketing and marketing automation. See our official library of guidebooks to each Google Analytics report here. Adobe Analytics is an enterprise-level web analytics tool that provides aggregated digital performance with multichannel data collection. Due to its advanced set of capabilities, implementation requires special customization on the back-end development for analytics tracking. With the extra back-end work comes flexibility for data collection. What makes Adobe Analytics stand out? Adobe Analytics allows for 200+ possible variables and unique processing rules to organize data your own way. Adobe Analytics’ expertise comes in data visualizations, funnel analysis, and advanced segmentation for reporting. The reports are presented in a simple, yet customizable way to perform deep analysis throughout the user interface. Great for advanced web analytics and more geared to larger corporations. Read through a few helpful resources for Adobe Analytics beginners here. MixPanel is a multi-platform web analytics tool that tracks digital performance over time with auto tracking capabilities. MixPanel makes it easy for teams to track user interactions with a point-and-click event tracking. You do not need to depend on back-end manipulation as they have an easy user interface to tag your buttons and events. MixPanel also provides funnels and segmentation to further understand your user journey in different data cuts. What makes MixPanel stand out? AB split testing features allow you to quickly set up tests based on user behavior and attributes all within the platform. MixPanel also uniquely offers direct messaging to send automated emails, push, and in-app notifications for an extra way to gather user feedback and influencer user actions. Heap Analytics is a web analytics tool requiring no tracking code to view your digital performance. HEAP automatically tracks custom events and top-level website dimensions, while organizing it into reports for you in a dashboard. HEAP provides options to connect third-party data sources and even perform SQL queries on historical data for more complex data mining. Within the provided reports, HEAP displays reports to help you identify unique users and understand their user journey through funnels. What makes HEAP Analytics stand out? HEAP analytics automatically identifies events and pages and models them as “virtual events.” You can then use HEAP’s in-app point-and-click editor to tag the events to your own liking without needing to know code. All changes are updated retroactively for ease in adjusting data sets. Segment is a data aggregation tool that inserts tracking codes into web platforms with one API. Just turn on ready-made integrations out of the 200+ tool library without additional development. Segment connects your website to all third-party tools, so you can track all the data you need. Once the tools are connected, you can transfer data to be used in another tool for a full-cycle marketing ecosystem. What makes Segment stand out? You don’t need to set up every single marketing tool separately as Segment has figured out how to integrate 200+ tools. One API, and you’re done with touching the code. Everything else is organized and translated by Segment to deliver to the end-tools for marketing, product, and analytics. KISSMetrics is a web analytics and marketing tool focused on user engagement. Some features include behavioral analytics, email automation, and third-party app integrations for more complete user engagement analysis. You can use KISSMetrics to understand high-level performance, related to marketing campaigns, top user activities on your website, landing pages, and exits. Third-party integrations include VWO and WooCommerce to allow you to connect split testing and ecommerce behavioral data to the rest of your website analytics. The integrations give deeper insight to the full user journey. What makes KISSMetrics stand out? With KISSMetrics’ “people” metric, they identify multiplatform activity as one person, rather than the typical user metric that’s limited by the browser and IP address. This allows you to uniquely target and personalize an actual person’s user experience across your brand platforms. The “people” attributes can be used to trigger further marketing, which KISSMetrics focuses on providing with email automation. Quantcast Measure is a web analytics tool, mainly used for audience insights and advertising strategy. Quantcast uses machine learning to complement directly measured data for cross-platform digital engagement. Audience Insights are uniquely organized as “people,” not users with cookies. They are supported with attributes, demographics, and affinity data to help you understand your audience against your competitors. What makes Quantcast stand out? Since Quantcast uses both machine learning and actual user behavioral data, they provide an in-depth view into user attributes to help you understand who your audience is. You can dive into their interests, where they’re located, shopping behavior, and more. By knowing additional information about your users, you can better understand how to reach them and personalize their experience. Also, compare your audience to other competitors for a bird’s eye view. Competitive analytics tools use one data collection methodology to give you a high-level view of how each digital market is doing, down to individual domains. They provide traffic analytics and user demographics for 1:1 comparative analysis across all platforms. Usually, competitive analytics tools will use a mixture of direct website tracking and a user panel of known attributes. 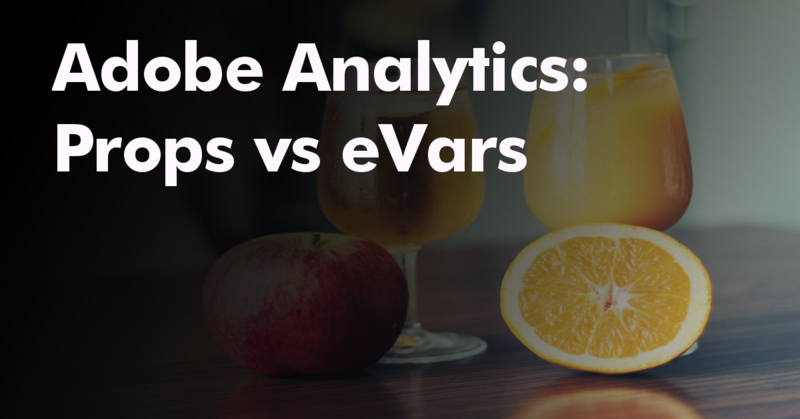 Think of competitive analytics as a simpler version of your main web analytics tool, but with the ability to compare yourself to others in the same industry. How much market share do you have in comparison to your direct competitors? What are the types of audience demographics that make up your traffic? Does your audience demographic differ from your competitors? How do you perform across all platforms – desktop, mobile, app? Do your competitors do the same? Find a competitive analytics tool that will give you enough knowledge to understand your market. If you’re a publisher, you can utilize the insights for sales pitches and quantifying your market share. If you’re an advertiser, competitive analytics help you refine which platforms can best reach your target audience. The benefit is knowing the market and evaluating how you can optimize your ads or your platforms. comScore is an enterprise competitive analytics tool that provides overall digital performance, audience demographics, and multiplatform comparative analytics. comScore collects data based on their trademarked “Unified Digital Measurement” methodology. UDM is a mixture between actual user measurement and machine measurement. They have a user panel of 2 million people where they track all their online behavior, while knowing all of their actual demographic data. Then, the user panel data is combined with actual tag and cookie data to give a comprehensive view of online digital performance. What makes comScore stand out? comScore is the premier competitive analytics tool that large publishers and advertisers use towards sales planning and media ad buying. Since all large publishers integrate comScore into their platforms, it gives an overall view of how you compare against the market. It’s based on actual tracking data with complementary audience demographics to allow you to make a fair analysis of the industry. Note: The publisher or domain must integrate the comScore tracking properly, so there may be discrepancies to individual domains. HitWise is a competitive analytics tool that provides consumer insights, competitive data, and search behavior based on sampled data from ISPs. Its expertise lies in competitive data as you can view target companies’ digital market share by visits, searchability, and paid advertising. Through advanced modeling, HitWise does provide audience demographics data as well to help you better understand your audience. What makes HitWise stands out? HitWise is an affordable competitive analytics tool to view your market share and competitive landscape. Since it doesn’t require a tracking code, smaller domain traffic are usually provided, which can be helpful for people who are not large publishers. If you’re selling advertising on your website, it’s beneficial to use HitWise to convince buyers of how you stack against the rest of your market. See how much potential share you have and how users are reaching your website. Search engine traffic drives in the most qualified users as they strongly intend to convert. Gain high visibility with more impression share when users are researching. Use an SEO tool that aggregates Google Search data to understand organic search results, paid advertising, and competitor strategies. Knowing all three will give you a holistic view of how you can optimize your own content. Look for an SEO tool where you can easily explore keywords, real paid ad history, and backlinks. Rather than manually researching, SEO tools aggregate all search results for you. They provide data on all important SEO elements for a comprehensive, streamlined analysis. Which keywords and phrases have the highest search volumes? How have other domains advertised in search engines? What type of copy, creative, and landing page? How difficult is it to rank for keywords of high interest to me? What backlinks should I focus on to integrate into my content? What are the top pages that are driving the most traffic to my competitors? SEO tools are intended for exploratory research, so pick one where you have freedom for data analysis. If you can view actual ads along with the group of keywords they target, that’s a plus! Otherwise, SEO tools should allow you to click through to the SERP to see how it was presented last time the tool crawled the engines. Get inspiration from competitors as you view how they’ve done their copy, CTAs, landing pages, and creatives. See what you can do better and do it! SEMRush is a well-rounded SEO tool aggregated Google Search data for keyword analysis, PPC ad research, competitive analysis, and more. You can explore search behavior in all different ways – domains, keywords, and page. Also, monitor performance over time with the multiple project options to choose from. SEMRush’s features allow for unlimited exploration to help improve search rankings, content quality, and advertising strategies. SEMRush also offers in-app SEO assistant tools to give you live ranking potential as you write! What makes SEMRush stand out? SEMRush has all the types of data you would need to perform informed SEO analysis. You can review how your competitors are doing and compare yourself directly to them – with the Gap Analysis reports. You can also drill down to the page level and see what content works best. Also, see how keywords and backlinks are performing by pages and domains. All SEO questions you may have, SEMRush gives you the flexibility of analyzing at a high-level. The Keyword Magic tool allows you to do expansive keyword research with filters similar to how Google Ads keywords are structured – broad match, exact match, and more! It will also give you the most common words used in phrases related to your target keywords, and rank it by the number of keyword queries with which they are included. The number of keyword queries gives you perspective as to how many potential queries you can appear in for search results. As an added bonus, SEMRush offers Topic Research, which gives you a high-level overview of what types of conversations and questions relate to your identified keyword. SEMRush gives you all the tools necessary to perform exploratory research. Ahrefs is an SEO analytics tool with a robust Google-based database for link building. It also provides reporting for page-level analysis, keyword exploration, as well as competitor research. SEO audits are a plus, too. What makes Ahrefs stand out? Its expertise lies in backlink anchors, meaning you can find keywords that other authors use to connect backlinks related to your content. Backlinks can also be tracked as they are removed and added with the Ahrefs calendar. Ahrefs gives you the capability to see best pages by link growth, so you can integrate it into your backlinking strategy. iSpionage is an SEO tool that provides data from the top 3 search engines: Google, Bing, and Yahoo. It does all the significant capabilities an SEO tool should have: monitor projects, competitor research, keyword exploration. What makes iSpionage stand out? iSpionage groups keywords, landing pages, and ads altogether to show you what competitors’ strategies are. Their expertise comes in PPC where they’ll even display the creative to help you understand your advertising landscape. Google’s Search Console is the easiest and free way to communicate to Google that your site exists and how it’s structured. By connecting your domain to Google’s Search Console, Google will find your site and understand how to crawl your sitemap. It will also monitor issues while crawling to help you better your site performance and better your rankings. As a bonus, Google’s Search Console provides actual user queries by clicks, impressions, clickthrough rates (CTR), and average position. It’s only updated once a month at most, but gives you perspective as to how users are landing on your site organically. What makes Google’s Search Console stand out? It’s free and is as accurate as you can be with Google Search results. You can view monthly how your site is performing and communicate to Google of sitemap updates. You can also link your Google’s Search Console to your Google Analytics reports for full website behavior reporting. There are differences in the data. Read here to know the pros and cons to Google’s Search Console vs Google Analytics’ Search Console reports. Moz Pro is an SEO tool providing all the necessary features for research and analysis on a weekly basis: keyword explorer, SERP analysis, link explorer, and more. You can also track your rankings over time, while having Moz Pro crawl and audit your sites. Target keywords must be identified beforehand to collect trending data as Moz Pro does not provide retroactive capabilities. Moz Pro becomes a SEO assistant with page optimization recommendations with its Open Site Explorer, too. What makes Moz stand out? Moz also offers Moz Bar as a free Chrome extension to identify potential backlinks as you search live. You can also quickly see all search results accompanied by the domain’s page authority and page rank within your search experience. SpyFu offers the full package for SEO analytics where you can review keywords, competitors, and organic ranking history. It provides global data at a high-level to allow you to see the search engine landscape. What makes SpyFu stand out? SpyFu excels in in-depth PPC analytics with its Google Ads history presented in a clean, user-friendly timeline. You can review history by creative, landing page, and more. Google’s Keyword Planner is a free discovery tool for keyword suggestions when planning out your PPC campaigns. It offers top-level metrics like average monthly searches and search volume over time to give you some perspective. However, it rounds the search volume, restricting you to see actual impact of keywords in same volume groupings. What makes Google’s Keyword Planner stand out? Since it is offered from Google and free, you can trust that Google’s Keyword Planner data is more accurate, but keep in mind that it is limited to full exploration with limited metrics offered. BuzzSumo aggregates content across the Internet to lead your content strategy for social media and SEO. The tool’s features relate to both social media and search strategies. It provides search analytics as to what conversations and topics are popular, but also influencer data to help you perform research for your advertising campaigns. What makes BuzzSumo stand out? BuzzSumo shows the most shared content across social media, search, and even forums – Reddit and Quora. With its Question Analyzer, you can dive deep into common questions your target audience has to create personalized, new content. Most content tools do not look at Reddit and Quora data, so it’s a plus for companies with niche industries to review community conversations. SEO tools provides search engine analytics behind paid advertising for all domains, but PPC platforms are needed to distribute your own campaigns. Choose different PPC platforms that can complement your marketing mix. They all have different audiences, but can be integrated with your web analytics platform to create cohesion across all user touchpoints. Which creative, copy, and landing pages perform best in cost-per-click and conversions? Which audience targeting groups react best to my advertising campaigns? What is my relevance and quality score for my campaigns to achieve cost optimization? Many PPC tools have metrics included for in-app analysis, but even better if they connect with your main web analytics tools for more specific targeting. Google Ads, formerly known as Google AdWords, allows you to publish and monitor your PPC advertising campaigns as Search, Display, Video, and App ads. Google distributes the ad based on geotargeting, search, intent, and behavior targeting. You can also filter ads with keywords, specific placements, and predefined topics Google offers. What makes Google Ads stand out? With Google Ads comes the integration with Google Analytics to understand the full user behavior from start-to-finish. You can also use the data reversibly to remarket Google Ad campaigns to your current user groups. Read here to learn more about the benefits. Taboola is a native advertising platform, so advertisers can choose to display ads on top digital publishers. Publishers need to have high volume to qualify for the platform, so it is great for high visibility in ads. With the large incoming traffic comes with higher cost per click, possibly lower quality traffic percentage. What makes Taboola stand out? You can use Taboola to display ads on top publishers across the Internet for higher reach, which is great for brand awareness strategies. 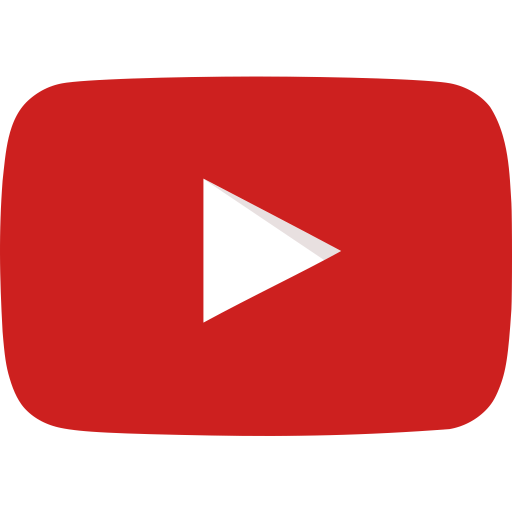 Ads are usually displayed as content recommendations to streamline the user experience to prevent any experience disruption. Facebook Ads is a social advertising platform where you pay-per-impression for all campaigns. Facebook distributes the ad in different placements (news feed, on-the-right, messenger) based on audience targeting by page following, locations, demographics, and more. Facebook also partners with third-party platforms within their Audience Network if you choose to advertise to an even larger population. Facebook Ads is not only Facebook, but also Instagram placements as well to reach a wider audience. What makes Facebook Ads stand out? Facebook Ads allows you to create lookalike audiences from saved audiences, which Facebook uses actual user information and behavior from their robust database. Since there are billions of users on Facebook providing personal information, Facebook can reach more audiences to your targeting preferences – and extrapolate that to similar audiences. Conversion tracking is also very powerful as you can customize how you identify success events and more, all the way through to your own platforms. AdEspresso is an all-in-one PPC platform where you can publish campaigns for Facebook, Google, and Instagram together. It consolidates all Facebook and Google capabilities to make campaign setup simple and organized. AdEspresso also provides a database of past ads along with its performance metrics to give you inspiration for your own ads. What makes AdEspresso stand out? You can set up A/B split testing up to 50 different variables in just one step, while tracking with Google Analytics and Facebook Pixel. Afterwards, AdEspresso offers much more organized analytics, so you can manipulate data freely with all the split test variables you set up. For those heavily dependent on remarketing to current customer lists, you can also connect your CRM as well into AdEspresso. Social Media tools are comprised of three different types: social publishing, social analytics, and social listening. Social publishing features include post scheduling, post customization, content calendars, and asset libraries. Social publishing tools streamlines teams by post across all social media platforms in one user interface. Social analytics provide data to help teams monitor social performance. Determine which content types, user segments, and times work best for every campaign and account. Social listening is the advanced set of analytics where you can dive into overall social conversations based on keywords, hashtags, and mentions. Social listening tools provide features for sentiment analysis, influencer research, and brand reputation monitoring. All three types work together in giving a full package of managing and monitoring social media strategies. Find a social media tool that streamlines the complete process from content curation all the way to analysis. Which type of content performs best, in terms of creative, copy, and location? Is my content reaching qualified traffic that converts? How my content influence engagement across platforms? What types of trending topics and conversations are happening right now? Are users mentioning my brand having good overall sentiment? Sprout Social handles both content publishing and social listening capabilities with their recent acquisition of Simply Measured. With the publishing aspect, Sprout Social allows you to schedule posts across most social platforms, monitor mentions and private messages, as well as stay organized with a content calendar. If you get the corporate version, you’re able to categorize your campaigns with tags to make it easy for you to monitor over time in reports. What makes Sprout Social stand out? With Simply Measured features, you can explore more into actual conversations, topics, hashtags, and trends based off of curated keyword groupings that Sprout’s team helps manage. Most of social listening analytics is based off of Twitter due to other social platform restrictions. This, however, can still be useful in reacting to real-time conversations, especially by specific geolocations or radius. Simply Measured also gathers top influencers’ posts supported by post metrics to help lead influencer strategy and planning. Sysomos has two tools for social listening and monitoring, Heartbeat and MAP. Heartbeat is more for real-time social monitoring limited to identified brands of your interest. The strength comes with understanding the share of voice for the brands you use Heartbeat to follow. Heartbeat does give a full view of how each brand is doing with posts and following – like a preset dashboard to view at a glance. What makes Sysomos stand out? Sysomos’ MAP, on the other hand, is more of an exploratory tool to allow you to dig in deep to whatever you’d like based on Boolean-grouped keywords. Think of it like as social search engine to review content, top keywords, sentiment, influencer research with authority scoring, and more with historical analytics! Crimson Hexagon is an enterprise-level social analytics and listening tool, specializing in sentiment analysis. With its training capabilities, you can create your own type of machine learning to identify key conversations for your business. You can also do general social publishing with Crimson Hexagon while measuring the social performance over time. It’s great to use during real-time campaigns to proactively respond to user conversations in the moment to increase engagement. What makes Crimson Hexagon stand out? Crimson Hexagon gives you the tools to train your own sentiment analyzer to fit your brand and voice. Without having to use a generic one created for all businesses, you’re able to categorize what you think is positive, negative, and neutral yourself. HootSuite is a social media management platform, offering scheduling, analytics, and monitoring features. You can use the in-app content calendar, while curating content all within the platform to perform all your social needs. What makes HootSuite stand out? HootSuite is best known for its cost-effective social scheduling features for multiple social media platforms. It includes additional features to help you create posts within the user interface. Monitoring trends and mentions, while collaborating with your team help expedite social post setup. Buffer excels with its social scheduling features across all social media channels. They provide extensions to live within your browser to make it easy to grab content for posting. The content calendar also helps keep your planning organized to avoid any repetitions. You can also easily edit creatives to fit different social requirements for posting. What makes Buffer stand out? Buffer integrates with your browser as a simple extension to help you stay within your search experience, while bookmarking content for posting. It prevents any disruption to your path, but also allows you to publish the right content when needed. A/B multivariate testing, otherwise known as split testing, is how businesses find the best combination of elements that lead to success. Whether it’s color, layouts, or context, you can use A/B testing to split groups and compare them side-by-side at the same time. Since A/B testing maintains the time as a constant, you can ensure at least time-sensitive external variables are not in effect. A/B testing can either be done on the client-side or server-side. Client-side is typically an easy drag-and-drop editor within the tool’s user interface for anyone to set up tests. Server-side is dependent on a developer’s help to adjust the back-end to implement the test, but can be more flexible in terms of integrating internal data and processes. Which combination of elements drives a user to click through to the next page? Which types of content lead to a conversion best? Are users more inclined to click with one creative or the other? Is the content recommendation improving user engagement and sales? Pick an A/B testing tool that matches your team’s capabilities, but also allows flexibility for the tests you need to facilitate. A/B testing is a great method to experiment different variations without fully committing to complete changes at once. You can make informed decisions based on high statistical significance, or at least consistent user trends. Visual Website Optimizer, also known as VWO, is a full-package A/B split testing tool to evaluate multiple variables with an easy setup. Its designer interface doesn’t require a developer with its simple drag and drop editor. You can track and analyze pathing behavior and targeted actions as you set your own goals and metrics for VWO to collect. VWO further allows for personalization as tests can also be based on targeted user segments. This avoids conflict between tests, but also be more customized to user experiences. What makes VWO stand out? VWO reports include success metrics like confidence levels to ensure you have enough data to make an informed conclusion. You can also integrate your own metrics tracking to be more comprehensive. With a simple asynchronous snippet, VWO will always be ready to collect data as tests are live without delaying the rest of the page load. It’s simple and easy to set up tests with its point-and-click editor within the user interface. No developer needed! HotJar is a user-experience analytics tool to help you understand conversion funnels and user navigation. You can easily set up your conversion funnels to see fallout, exits, and full completions for a quick glance into website performance. With screen recording samples, HotJar provides a real perspective on how an individual user navigate through your site, so you can understand more clearly how people fallout. Heatmaps are a great addition to this as it aggregates the click data and mouse-over behavior with “heat-related” colors. For more direct user feedback, HotJar integrates features to distribute surveys, feedback polls, and forms. You can also recruit user testers from within the platform if needed. What makes HotJar stand out? It’s all-in-one platform to understand user path behavior with both quantitative and qualitative testing. HotJar provides real session recordings and heatmap tracking, but also additional features to gather more feedback from users directly. ABTasty is an A/B and multivariate split testing tool with two options with server-side and client-side setup. Server-side setup allows for full flexibility as it relies heavily on an API integration and back-end work, but can directly integrate with your servers and data warehouse. Server-side is still in beta as they’re expanding their reporting functionalities, but developers can extract the data on the back-end if needed. Client-side is for the everyday user who wants to push out A/B tests in a few minutes with a drag-and-drop editor. Client-side does provide personalization targeting based on user behavior for simplicity. What makes ABTasty stand out? ABTasty gives you options in how you want to facilitate A/B tests with one tool. You can do both simple and complex tests depending on your need. Whether you’re a marketer or an actual developer, any one can set up a test with ABTasty. 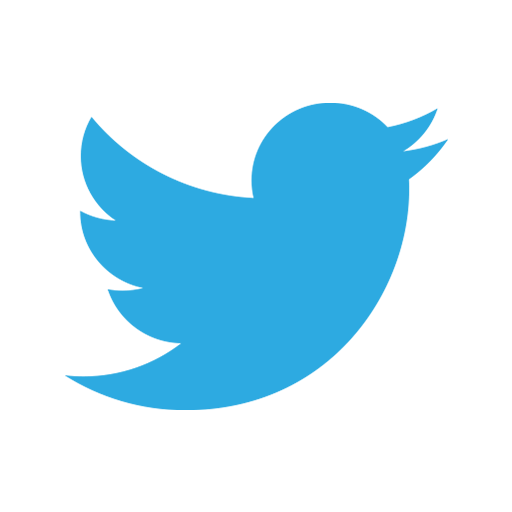 Optimizely is an A/B and multivariate split testing tool that integrates well across all platforms: website, mobile apps, and even television apps. Optimizely also offers personalization capabilities to customize user experiences, along with web recommendations as users browse. The tool does require an army of developers to implement tests, which allows for more complex A/B testing capabilities. Though, Optimizely depends on synchronous code where code can only process as a sequence, which can affect page loads. Optimizely also includes features to understand crash activity, so developers can continue to monitor platform experience and fix issues. 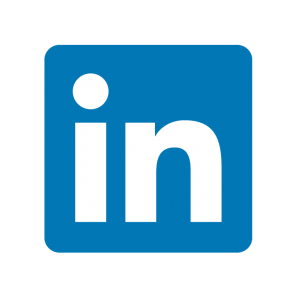 What makes Optimizely stand out? With its focus on back-end A/B testing integrations, teams can facilitate very complex experiments while integrating internal processes and data. It allows for high flexibility in aligning test variables to match form layouts to databases, content recommendations to product library, and more. Every variable is set up before the user loads the browser, so the experience is seamless. Adobe Test and Target is a personalization analytics tool with A/B split testing functionalities. You can use Adobe TnT to create your own audience segments from user behavior or internal data for more targeted experiences. With its drag and drop editor, users can easily set up simple A/B tests with a couple clicks. However, more complex needs require developer customization in the back-end. Adobe Test and Target allows you to deliver content and recommendations based off of historical and affinity data gathered through Adobe Analytics and even Google Analytics. Statistical significance metrics are also included to represent if the volume of data is consistent enough to form a fair assumption. What makes Adobe Test and Target stand out? Adobe TnT caters towards more advanced A/B testers as it provides the full functionality to carry out experiments, both client-side and server-side. Since it integrates with advanced analytics within Adobe Analytics, you can understand the full user behavior from start-to-finish. Adobe TnT allows for custom audience segments that stem from internal data, so testing is powerful with actual user analytics. Unbounce is a landing page creator and optimizer tool that integrates with your favorite web analytics tool. You can build and test pages, popups, sticky bars, and even mobile pages all within Unbounce without affecting your original website pages. You can benefit with Unbounce by creating pages to match your paid ad campaigns. Google Ads rewards relevant content with similar keywords and URL names, so Unbounce gives the easy fix to increase your ad quality score and lower your cost-per-click. What makes Unbounce stand out? Unbounce specializes in landing page experiments, so they provide many options to test one page’s elements at once. It is kept separate from your original website pages, which prevents any external effects on normal user behavior. With the ability to create numerous landing pages, you can customize your campaigns to achieve lower cost-per-acquisition and optimize overall budget. User Testing is an analytics methodology to gather real user feedback, both qualitative and quantitative, online. User testing comes in many forms as it’s embedded within the user experience: surveys, live recordings, session recordings, and more. With the ability to view an actual session, businesses can learn to understand what causes fallouts, exits, and frustration. User Testing methods complement historical analytics to answer the “why” for user behavior trends and issues. Why do users normally abandon cart? What type of users are more inclined to convert? How do users feel about my user experience? What issues do my users normally face while using my platforms? Is my product beneficial for my target audience? How so? Identify a User Testing tool that covers all the types of user feedback you’d like to collect. Find one where you can easily facilitate a test to get the metrics and answers you need. As an added bonus, look into how the support team helps teams optimize their user tests. UserTesting is like its name – user testing platform to help you understand the why behind your digital performance with real user feedback. You can recruit users within the platform or even connect with your actual customers. UserTesting provides support to structure tests, execute, and report. However, you can also do it yourself easily with their user interface. As the test completes, you can review actual session recordings with live feedback and survey data for both website and mobile app experiences. What makes UserTesting stand out? UserTesting allows you to be independent in facilitating your own user tests, but also gives you the option to reach out to the support team. With the in-app ability to recruit your own test takers with self-created screeners, you can create tests within minutes. UserTesting also provides all the tools necessary for participants to complete questionnaires, recordings, and more. Qualtrics is known for its qualitative research and reporting. Get real customer feedback with Qualtrics to fit your user experience dynamically. Qualtrics offers multiple designs and options to gather user feedback as its presented to the user. After data is collected, Qualtrics uses predictive analytics (iQ) to understand when a user is most likely to churn or convert. iQ will analyze open answers based on sentiment and trends, while sending alerts to your inbox. Qualtrics is advanced with its rich experiential data, providing an easy reporting interface and dashboards customized to your team roles for targeted analysis. What makes Qualtrics stand out? Qualtrics is a premier experiential tool that is used by many businesses and even universities. It’s easy to facilitate tests within the tool, and also gather aggregated data results for post-questionnaire analysis. Qualtrics is versatile by offering various types to structure tests, so user experience is seamless. FullStory organizes sessions automatically without you having to review every individual one. It will find common attributes, so you can just focus on issue and behavior analysis. Google Forms is a free survey tool to help you get real-time responses for anything you need. Google Forms is entirely customizable to ask the questions you need to make informed questions. Feedback is then collected to show within the form or aggregated in an excel sheet for real-time analysis. What makes Google Forms stand out? Google Forms is free and easy for all user types. The user interface is intuitive and quick to facilitate questionnaires as you need. Analytics reporting can either be based just on web data or integrated with all other business data sources. Reporting tools make it easy to consolidate data into one place, both first- and third- party data. They typically provide the basic visualizations to help complement the raw numbers, but manipulation must be all done within the platform. Reporting tools allow you to review data in real-time after the dashboards are set up with different variations of collaboration features included. How does your web behavior align with actual business sales? How do users navigate through the omnichannel user journey both offline and online? What are some projections or forecasts for the next year? Choose a reporting tool where it’s easy for you to use. Some might require more advanced data mining skills like SQL or Python, but find one that you are capable of using. Many reporting tools may flaunt their visualization libraries, but the ones that stand out are the ones you can customize the most out of scratch. Make reports your own with modular styles. Klipfolio is an analytics and reporting dashboard tool that integrates with hundreds of data sources to present real-time data. Klipfolio has easy integrations with multiple marketing tools, even with pre-built klips that visualize top common KPIs for you. If you need more customization, you can create custom klips and new data sources with customizable APIs to pull the data you need. Its special feature comes with dynamic variables as you can adjust APIs and charts with a one-time setup. Klipfolio also uses queries similar to SQL, which can be useful for more experienced analysts to create dashboards. Klipfolio has a clean, user dashboard layout that highlights benchmarks, forecasts, and budgets. All end users can play with reporting attributes themselves to get the real-time data they need. What makes Klipfolio stand out? Klipfolio gives you the flexibility to pull any type of data you’d like, in the format you want. It takes time to understand the Klipfolio query language, but once you do, it’s powerful in aggregating sources you like through APIs. The pre-built “klips” are usually very helpful, just connect it to your data sources, and see high-level metrics instantly. Google Data Studio is a free reporting dashboard platform that connects easily to other Google tools, such as Google Analytics, Google Search Console, Google Ads. Since it’s all integrated, the same functionalities are easy to access like Google Analytics segments, dimensions, and metrics. Creating visualized reports is easy with drag-and-drop capabilities with the option to create calculated metrics within Google Data Studio. The end user can review data in real-time and adjust the visuals as they see fit. What makes Google Data Studio stand out? Google Data Studio is free, but also very intuitive for a new report creator. It gives you the foundational visualizations to make reports interactive, and streamlines reporting for Google Analytics and Google-related platforms. If you’re a business solely focused on Google tools, it’s the only tool you need to get immediate data for insights and analysis. Adobe Analysis Workspace is a reporting tool located within Adobe Analytics user interface. You can easily drag and drop tables, visualizations, and variables to automate real-time data. Your end user can receive scheduled reports and alerts or even do their own reporting analysis within the dashboard. Instead of flipping through multiple reports within the user interface, you can manipulate data easily within Adobe Analysis Workspace without having to refresh the page. Look at reports next to one another, drill into flows, and also set up funnels as you wish. Adobe Analysis Workspace works great for both automated reporting and exploratory analysis. What makes Adobe Analysis Workspace stand out? 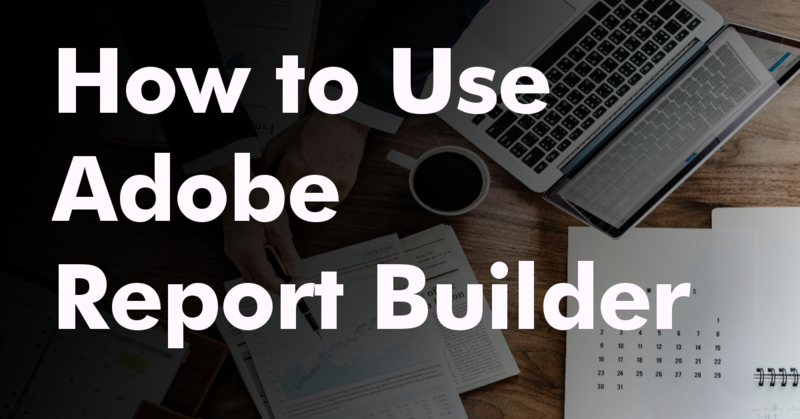 Because Adobe Analytics is a comprehensive web analytics tool, the in-app reporting feature works well in helping create automated, comprehensive reports, but also support in-depth data analysis. The visualizations are interactive enough to dive into funnels and even set up exact pathing you’re interested in following. Stacking segments next to each other also makes it easy to analyze at a glance. Adobe Analysis Workspace is so versatile, all data manipulation and mining can be done in the in-app platform. Yellowfin is a BI and analytics tool that aggregates all data sources into one platform. You can customize your data source connection and infrastructure without affecting the original format. Data visualization and reporting is easy with drag and drop features, along with automated charts based on where you drop variables. Every step from data source, reporting, to dashboard is customizable and set all within Yellowfin. After dashboards are complete, features like “drilling,” “assisted insights,” and “annotations” help for interactive, exploratory analysis. The reports are dynamic enough to continue analyzing after the initial setup. Yellowfin provides the flexibility to collaborate with your team as well with feeds and timelines. What makes Yellowfin stand out? Yellowfin makes both data mining and report creation easy and comprehensive. However, the biggest benefit is how interactive dashboards and reports can be created for post-creation analysis. Without having to bog down analysts, end-users can perform their own manipulation in the report temporarily for instant insights. Yellowfin came out with a new feature with Assisted Insights to automatically verbalize what the tool sees in the data, so it can help focus an analyst’s attention to even deeper analysis. Tableau is a BI and analytics tool that specializes in automated data visualizations for enterprise-level teams. You can aggregate data from various sources and share reports internally. Tableau does integrate some flexibility after a report’s been set for extra analysis with pre-built filters. Tableau is great for high-level performance reviews and monitoring over time. What makes Tableau stand out? Tableau has a large market share in the BI and analytics space as it’s usually the first that comes to mind. You can find many more people skilled with Tableau than any other tool. Tableau provides the foundational requirements to create streamlined, automated reports and visualizations for business teams. SuperMetrics is a business analytics software, initially created for Google Analytics data and other Google platforms. It acts as a connector between your reporting dashboard and your data sources. SuperMetrics offers many connector options to Google Sheets, Google Data Studio, and Google Analytics. It allows you to aggregate your data into one place for comprehensive reporting. What makes SuperMetrics stand out? SuperMetrics makes it easy to consolidate your data sources for comprehensive reporting. Just turn on the tool you’d like to connect, and your data set becomes amplified. SuperMetrics complements Google Data Studio and Sheets for teams that are heavily dependent on Google Suite products. You can add additional non-Google connectors easily to your current data. Marketing automation tools streamline the lead nurturing process across all channels by automating repetitive tasks: emails, messages, chat bots, and more. You can set up triggers based on user events, attributes, and behavior to administer best marketing messages in real-time automatically. Marketing automation tools typically provide data across all channels into one consolidated area, so you can follow the entire user journey as individuals. It also benefits the sales teams with its built-in CRM system that flows along with web behavioral analytics. What are the typical steps that lead to a full user conversion? Which lead-nurturing methods are actively influencing a conversion? What is the ratio of influential offline-online campaigns? Which steps should I automate to streamline the user experience? HubSpot is known as a premier marketing automation tool that showcases the full user journey from acquisition to conversion. You can use HubSpot to trigger marketing campaigns from events and user behavior, while nurturing your leads with its built-in CRM system. Import, manage, and track clients with its list aggregation feature as they communicate with you both offline and online. Customize workflows to trigger emails and messaging based on user actions with HubSpot’s advanced segmentation capabilities. HubSpot provides additional features like custom landing pages, SEO assistants, and social publishing + monitoring. It is a hub for all things marketing where you can manage your campaigns in one place, both paid and organic. What makes HubSpot stand out? HubSpot is an all-in-one platform for all things marketing, especially for startups. It provides all the necessary tools for SEO, landing pages, social media, and marketing automation to streamline your digital user journey. 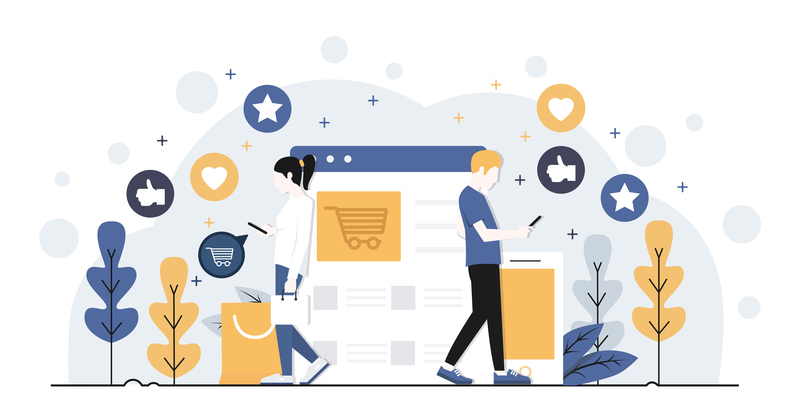 With its capability to support all marketing stages, you can follow users from acquisition to conversion cohesively across all online and offline channels – with no additional integrations. MailChimp is an email marketing tool that can be amplified with ecommerce and web analytics integrations. You can manage all email communications and contacts within the platform, but also transfer its information to other third-party tools for remarketing and product follow-ups. It provides the high-level metrics to understand email performance, and as an added bonus allows you to create landing pages within the platform. What makes MailChimp stand out? MailChimp cost-effectively offers all the foundational features needed for email marketing. It also easily integrates with many web analytics platforms to amplify targeting and marketing campaigns. Email creation is easy and post-tracking is comprehensive for email performance. 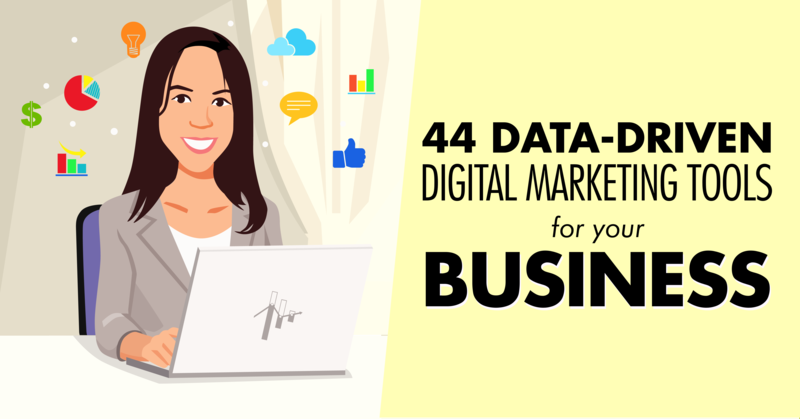 There you have it, all 44 digital marketing tools that lead with analytics. This information can be a lot and overwhelming. This guide should give you a solid introduction to the different types of marketing and analytics tools available. We have experience using all of these tools, as well as experience applying these tools to different types of businesses. If you need additional help deciding which tools are best for your business, feel free to reach out to us here!